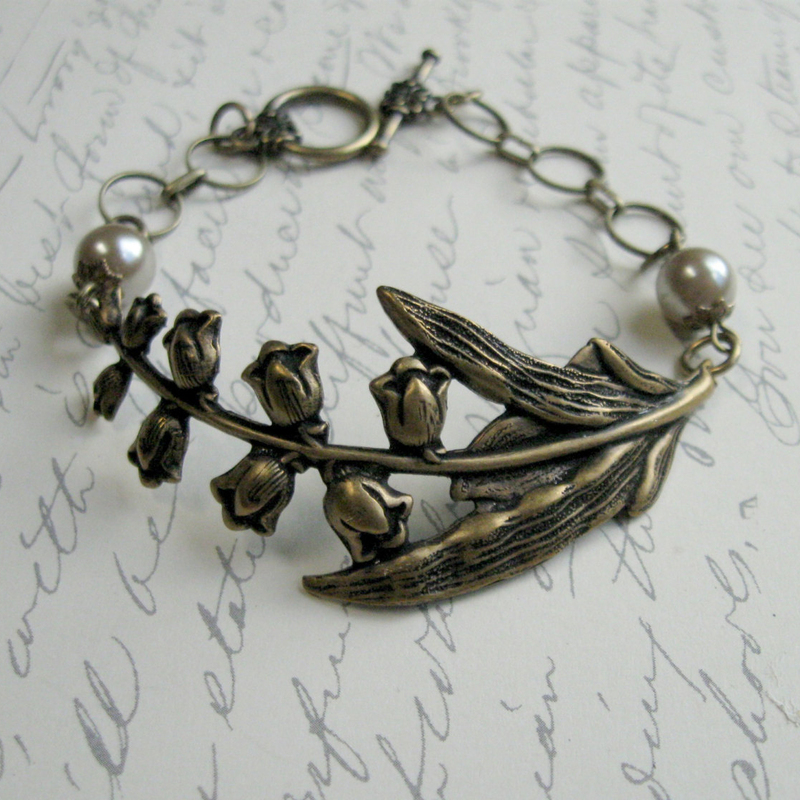 Here is a lovely vintage style, lily of the valley bracelet, featuring one large, nicely detailed brass floral focal piece, along with a unique round brass link chain and is closed with a brass toggle clasp closure. 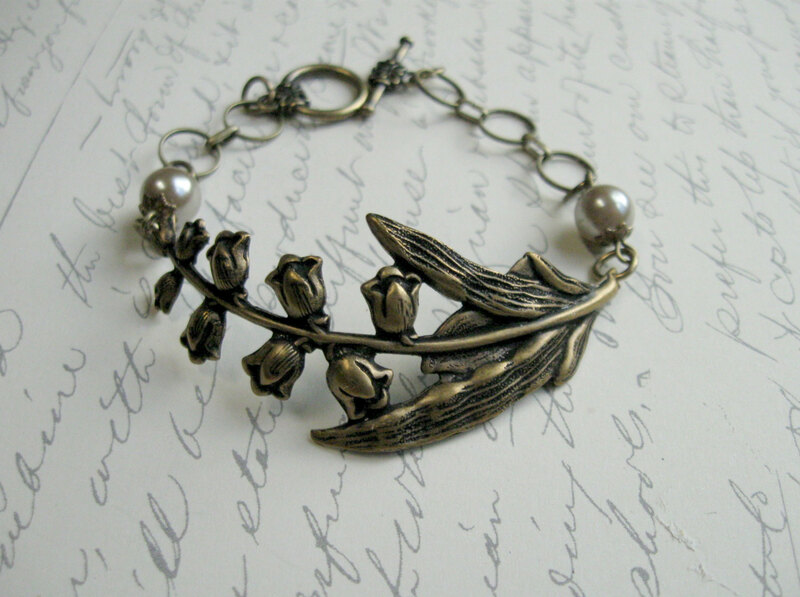 The first photo shows the bracelet with two pearls, one on each side, the other photos show it without, please select your length and which style you’d like. 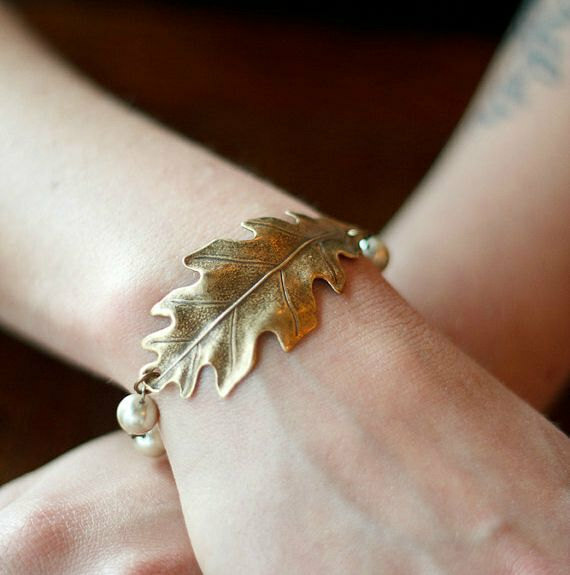 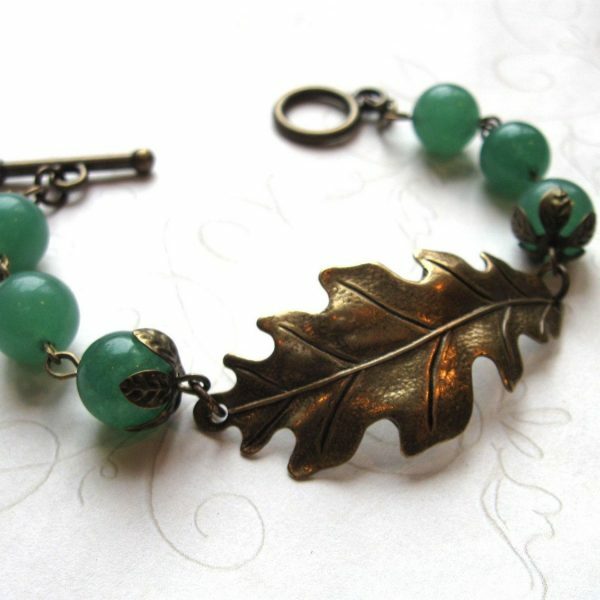 Lovely bracelet, perfect for the nature lover!